I am just as guilty as the next for steering clear of everything green growing up! I was brought up in the era of having to sit at the table until my plate was cleared. I see good and bad in this approach. I still feel the need to finish my plate, which is bad for your waist line; good for making you try food that scares you. I recall as a child placing peas along the underside rim of my plate in hopes that no one would notice. The family dog wasn’t opposed to any veggie of any color; pretty sure because they don’t see color hmmmm. I didn’t change my ways until my early 20’s and it has been ongoing challenge ever since. I have been pretty successful over the years hiding things I dubbed yucky! I can cut up an onion so small that it disappears in a soup love the flavor, didn’t like the texture – I don’t have to do this as much anymore. 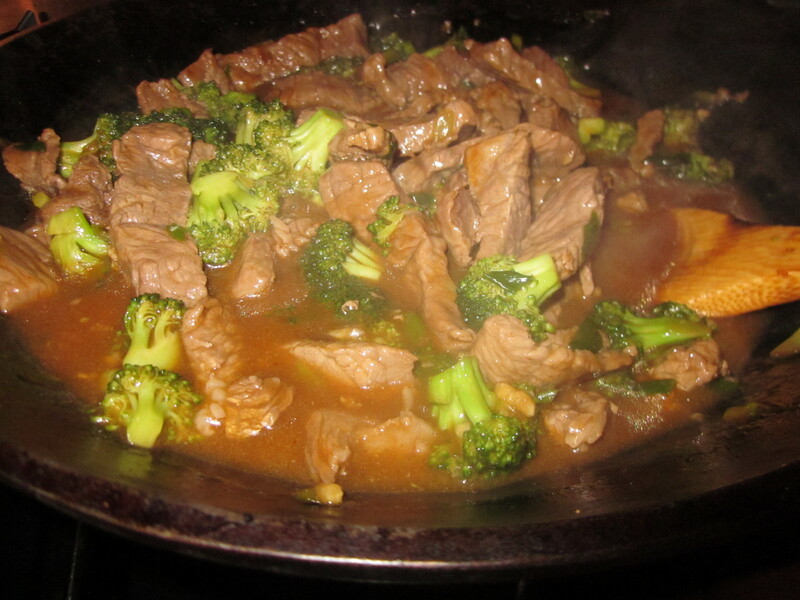 Broccoli was hidden in stir fry or covered with cheese sauce. Peas were usually covered with gravy mostly only in chicken pot pies. Asparagus was always covered with hollandaise and just in the last 2 weeks I have been working on brussel sprouts. There is speculation that if you eat something 7-10 times you can train yourself to like it. For the most part I do believe this. I can now eat Peas, Asparagus and Broccoli without smothering them with anything. Brussel sprouts are still a work in progress; I am only on try 4 but I haven’t given up hope yet. Peas – I only like frozen sweet peas – and they are a great tasting side as well as a punch of color – presentation, presentation, presentation. Broccoli – great steamed or pan seared with some shallots, kosher salt and fresh cracked black pepper. We have been growing broccoli for many years with great success – We harvest and freeze when we can’t keep up before it flowers. Brussel Sprouts – we are still eating them with a gravy or sauce of some sort – we are working on it – these look cool but they won’t be making it into my garden anytime soon. boil pasta (in salted water) according to the packages directions, at the last minute add the peas, drain and return to the pot. 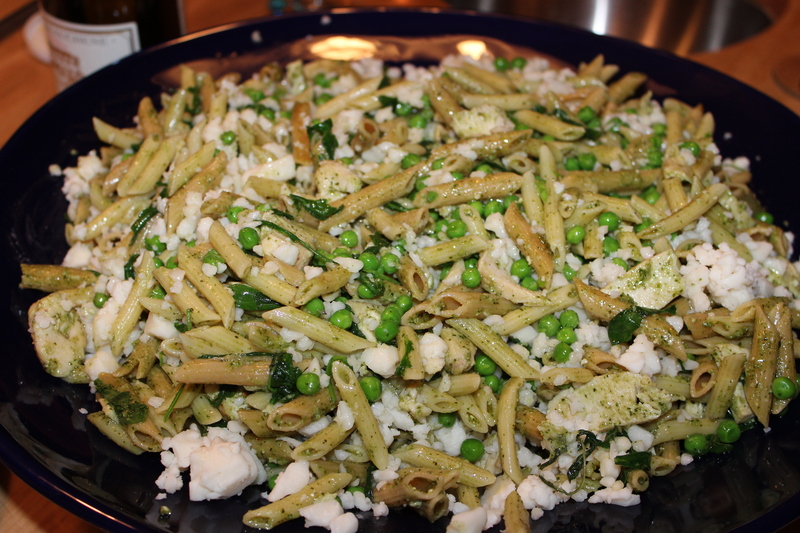 Add pesto and stir to combine. 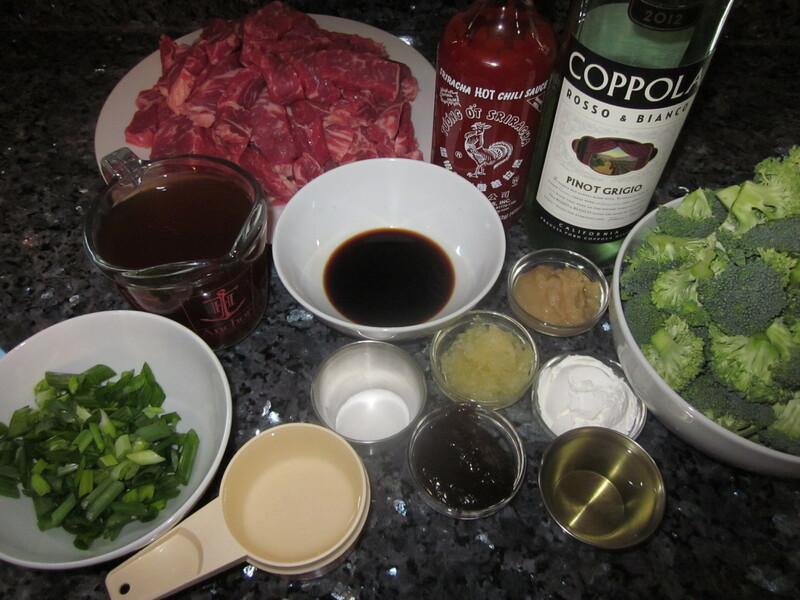 Add the arugula and toss. Cruble goat cheese on top and a grind of fresh crack black pepper. 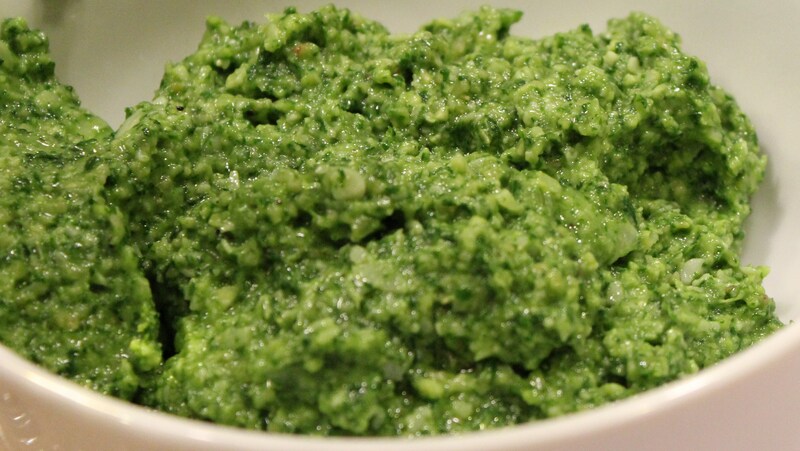 Combine basil, pine nuts and garlic in a food processor or blender. Pulse until all combined and chopped. Add olive oil to desired consistency. Finish by pulsing in the parmesan cheese, season with salt and pepper to taste.